Boost - Doug Grad Literary Agency, Inc.
Sam Hill steals cars. Not just any cars but collectible ones, rare works of automotive artistry. And he's good at it. But his good life of boosting cars for a living take a slight turn for the worse when he picks up a 1965 Thunderbird with a dead body in the trunk. Turns out the dead guy was an informant for the DEA, and that it's no coincidence that Sam was hired to steal this particular set of wheels. Sam has been set up. But he doesn't know who's behind it or what he did to get someone this pissed at him. No way is he going to let this one go...but first he has to ditch the car. The Albuquerque sun is baking the storage shed where he's stashed it, and his silent passenger is beginning to get pretty ripe... As Sam gathers his trusted friends to uncover the person who set him up, it becomes clear that it's not going to end until someone dies. In Boost, the car thieves are the good guys, and author Steve Brewer presses down on the accelerator and never lets up. "Veteran pro Brewer keeps the wheels turning throughout this serio-comic thriller, in spirit somewhere between a Westlake and a Westlake-as-Richard-Stark." "...entertaining...amusing.... This tightly plotted crime novel packs in a lot of action as it briskly moves along." Steve Brewer spent twenty-two years in the daily news business and another decade writing a weekly humor column called The Home Front. He now writes The Corner Booth at www.anewscafe.com. His columns have appeared in newspapers across the United States and Canada. Brewer is the author of sixteen novels. His recent novels include the thrillers Cutthroat and Whipsaw, and the seventh in his comic Bubba Mabry private eye series, Monkey Man, a Lefty Award finalist for best humorous mystery of 2006. The first Bubba novel, Lonely Street, was recently made into an independent Hollywood film starring Jay Mohr, Robert Patrick and Joe Mantegna . Brewer served two years on the national board of Mystery Writers of America, and twice served as an Edgar Awards judge. He’s on the board of Northern California Writers Forum and a member of International Thriller Writers. A regular speaker at mystery conventions, he has taught at the University of New Mexico, the Midwest Writers Workshop and the Tony Hillerman Writers Conference. 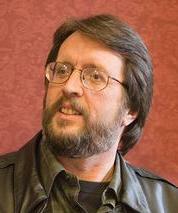 His articles have appeared in magazines such as Mystery Scene, Crimespree and Mystery Readers’ Journal. Brewer grew up in Arkansas, but called New Mexico home for nearly two decades before moving to Northern California in 2003. He lives in Redding, California, with his wife and two sons.